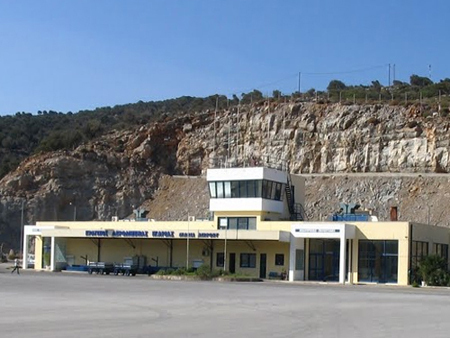 Ikaria Airport (JIK) is easily and conveniently reached on direct flights from Athens "Eleftherios Venizelos" Airport (ATH) and Heraklion, Crete (HER) via Aegean/Olympic & Sky Express Airlines. The flight time from Athens is 40 minutes. 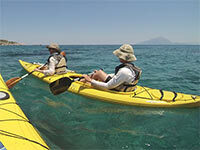 One way fares to/from Athens range from €41 to €115 depending on when you book and the time of year. 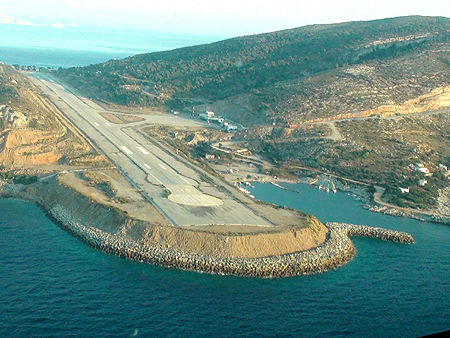 Ikaria's airport is located on the south-east tip of the island, 1km from Faros, 10km (15 minutes drive) from the capital Agios Kirikos, 50km ( 70 minutes drive) from Evdilos port on the North side, and 60km (1.5 hours drive) from Armenistis resort area. Rental cars can be picked up and dropped off at the airport. 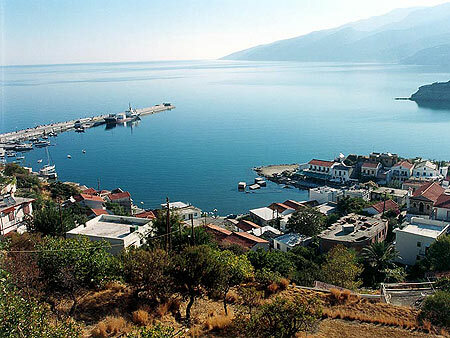 During the summer there are local buses operating between the airport and Agios Kirikos, Evdilos and Armenistis. Taxis are also available at the airport and it is recommended to make a pickup reservation before your arrive. 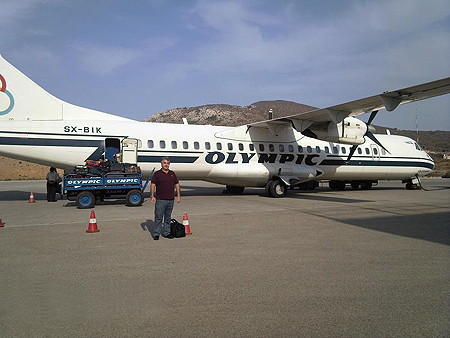 Visitors from Europe can also choose to fly to the nearby islands of Mykonos (MYK) or Samos (SMI) which have direct flights from various countries in Europe including the UK, Italy, Switzerland, Austria, Germany, and Holland, and then take a regional ferryboat to Ikaria. (1.5 - 2.5 hours). Island Ikaria is part of the North-Eastern Aegean Islands group and is located 144 NM from Athens. Nearby islands include Mykonos to the west (40nm), Patmos to the south (25nm), Samos to the east (25nm), & Chios to the north (45nm). 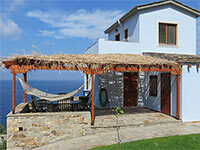 * Up to 50% Discount possible if you book in advance. 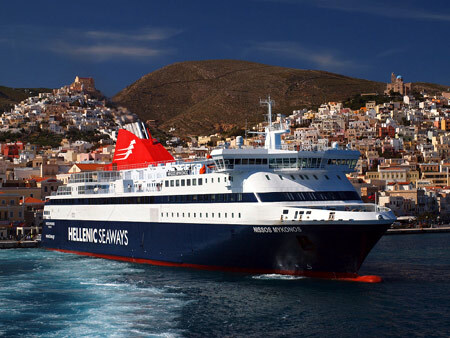 Hellenic Seaways and Blue Star Ferries connect Ikaria (Evdilos Port or Agios Kirikos) with Athens (Piraeus Port) and other Greek islands. 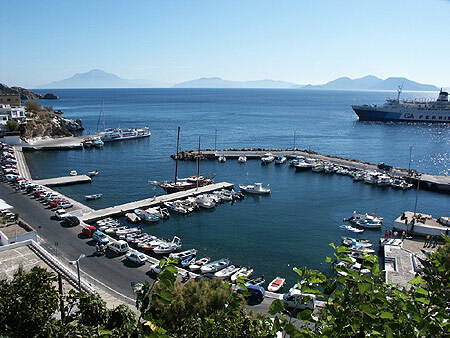 In the summer time the ferryboats run daily starting from Pireaus Port in Athens to Ikaria and typically take appoximately 6-8 hours depending on the weather and intermediary ports. 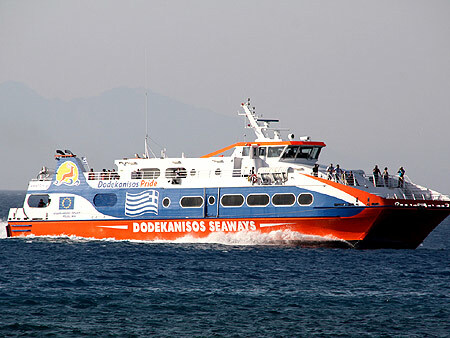 Connections between Ikaria and Turkey (Kusadasi-Ephesus) are also possible via nearby Samos on the daily ferries operating from April 1 to October 31 between Samos(Vathi or Pythagorion) and Kusadasi(Ephesus). 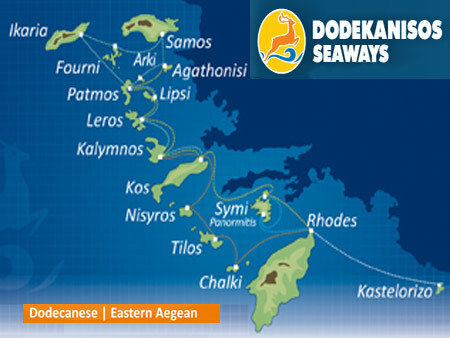 Be sure to also check out OpenSeas.gr for the latest 2019 ferryboat schedules all over Greece. 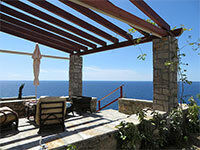 Book a Boat Ticket to Ikaria. * Pick up tickets at ferryboat dock or receive via post.